Chichen Itza, Mexico. The UNESCO World Heritage Site and New Seven Wonder of the World is a must visit on your next trip to Cozumel or the Mexican Caribbean. From the imposing Kukulcan Pyramid to the Sacred Cenote, Observatory, Temple of the Warriors, and Chichen Itza ball court, these fascinating Mayan ruins offer an insight into the complex and mysterious history of this highly advanced ancient civilization. 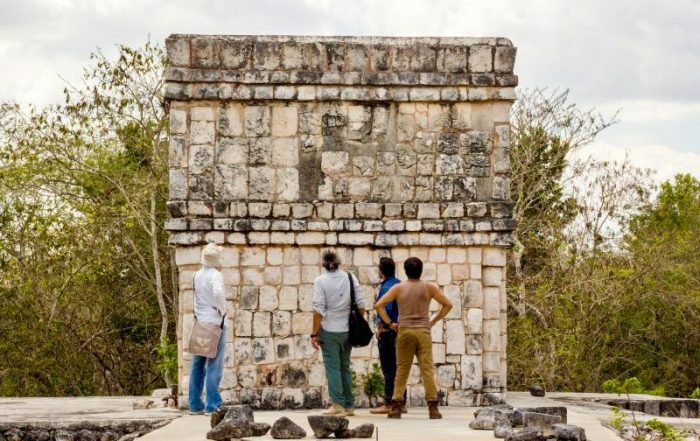 This Chichen Itza guide is designed to answer all of your frequently asked questions about these world-renowned Mayan ruins as well as provide detailed information about the different tours and how to get to Chichen Itza from Cozumel. Chichen Itza weather is mostly hot and humid, with occasional showers possible, especially during rainy season. Be sure to check the forecast about two days out and always bring a hat and sunscreen! Getting to Chichen Itza from Cozumel takes about 4 hours by ferry and bus and just 35 minutes by plane with Fly Cozumel. Total time is about 12 hours by land or 6 by plane. You can take pictures as a tourist on your Chichen Itza excursion but video cameras cost an additional $40 Mexican pesos ($5 USD). Fly Cozumel commands a fleet of modern Cesna airplanes which are constantly subject to a strict maintenance schedule. 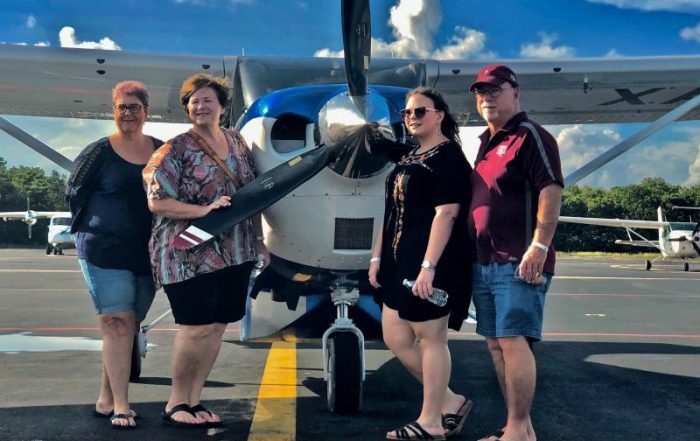 The plane used for a Chichen Itza tour will depend on group size. We’ve taken the most frequently asked questions about Chichen Itza and turned them into this handy guide full of tips and tidbits on everything from weather and opening hours to the famous shadow snake and the Sacred Cenote. 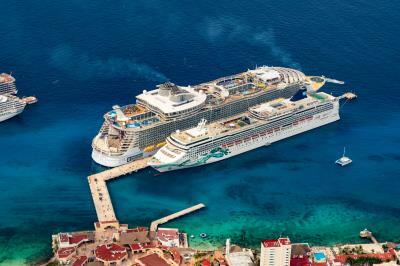 From the fun-filled Cozumel Pearl Farm and the Discover Mexico Park to visiting Holbox Island or a sightseeing tour by plane to see the great Kukulcan pyramid at Chichen Itza, this is the guide to the top Cozumel cruise excursions. Visit 4 Mayan Ruins in 1 Day! Chichen Itza or Tulum? What about Ek Balam and Coba? 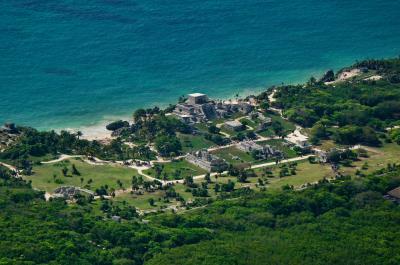 Did you know that you can visit all 4 Mayan ruins in one day on a spectacular scenic flight over land, air, and cenote? An incredible way to experience the history of the region! You’re on vacation to enjoy your time, not spend half a day on a bus. 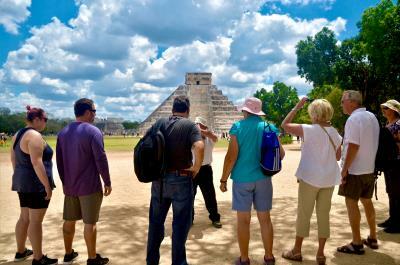 Our Fly Cozumel tours assure you reach Chichen Itza in a mere 35 minutes. That way, you can enjoy the Mayan ruins at a leisurely pace before the heat and crowds take over. At Fly Cozumel, you are our number one priority at all times. In consequence, safety is sacred. All routine maintenance and a rigorous inspection of our entire fleet is carried out to ensure utmost safety for each and every flight. There’s a reason almost all our reviews on TripAdvisor, Facebook, and our website are five-star reviews. It’s simple. You really are our priority. And we’ll outdo ourselves to ensure every single guest is truly pampered.